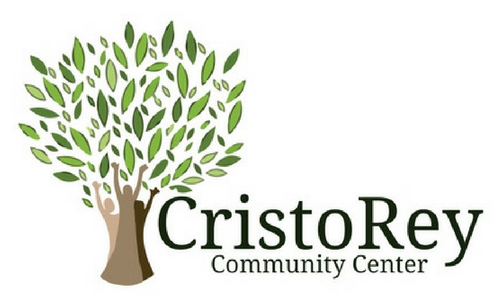 The Cristo Rey Community Center would like to extend our deepest gratitude to the volunteers from AIM High. On August 17th, 2016, ten students from the program were a great help while volunteering in our Kitchen and Community Garden. 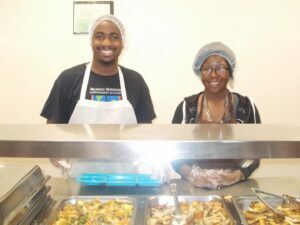 Site Supervisor Sequoia Bell and AIM High volunteer prepare food. AIM High (Academic Intergenerational Mentoring) is a 4-week enhancement program during summer school, with an extended 2-weeks.This program offers mentorships between middle school student mentees and high school and college student mentors in the Lansing School District. 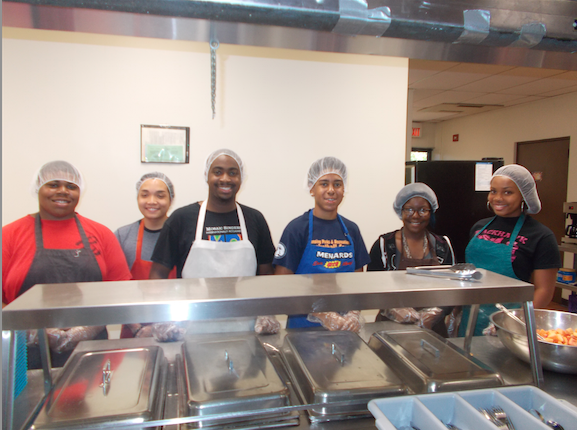 During the extended 2-weeks, AIM High participants volunteer Monday though Thursday. 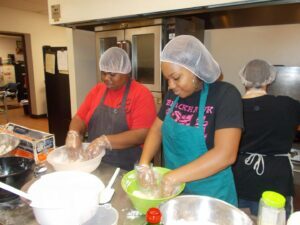 On Friday the students engage in learning life skill lessons. The program is aimed towards social and emotional development, while building bonds between the mentees and mentors. Michigan State graduates, Sequoia Bell and Sam Greene, work as Site Supervisors for AIM High. Bell and Greene contribute their time supervising the mentees and mentors during volunteering and facilitating other lessons.